For years I visited Paris with some frequency. I had not come back since 2010, but for a lightning visit in which I only saw an airport and an office. A new visit this month has given me some time for architectural and urban visits. France as a whole, and Paris, have always captured my attention, and these days at least partially in contrast with the negative moment in Spain. 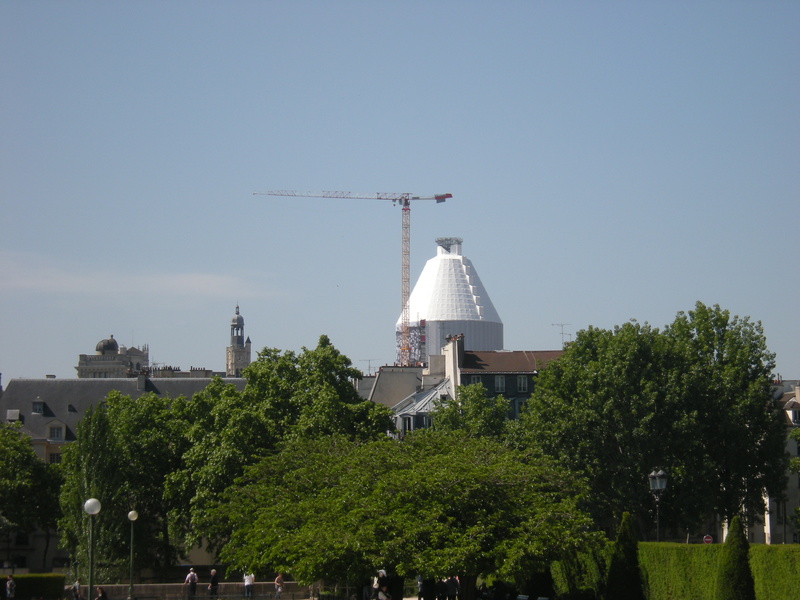 The Pantheon is at works, and from some places It seems like the upper portion of an Ariane rocket on the launching pad. As usual, tourists flock the place, and some things change: some signs point to a defeat on the battle for urban density, despite the government communication, but on the other side there are projects that seem to express a willingness to stand by that flag. Anyway, among the interesting things I have seen many are related to mobility, a noteworthy thing as this is an important issue in terms of sustainable development. Some solutions seem at first sight the same, but Parisian options often seem simpler, less expensive, and who knows, perhaps more effective… the answer will come with time.